Honestly speaking, I’m more of a hole-in-the wall and hidden nook type of person when it comes to choosing eateries and try to steer clear of the malls as the food outlets there tend to be too commercial. But of course, there’s always room for exceptions especially if the establishment has something unique to offer. Besides, nothing beats the comfort and accessibility of malls. Robinson’s Galleria, which is like a neighbor to me being only a 15 minute-ride away from home, opened up their new Veranda section and we get to try their numerous restaurants in the row. Papa John’s was our first stop for the day and the place overflowed with pizza. 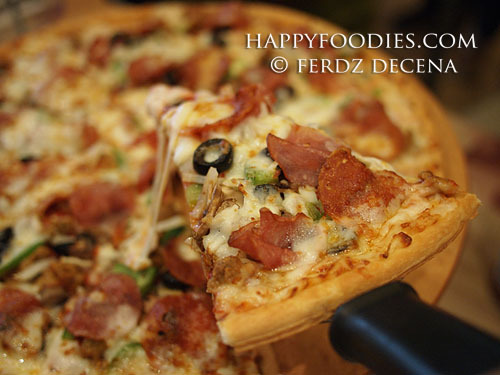 We were served a variety of hand-tossed and thin crust pizzas in 3 flavors. I like thin crust pizzas but I found they have better hand tossed ones with their Papa John’s Super Papa Pizza where every topping possible seems to have been tossed into it, melding well with the fluffy crust. The thin crust, however, works well for the Fisherman’s Catch (P530 large), a good choice for those who enjoy seafood. You can taste their really-buttery garlic sauce and fresh chilli pepper with every bite. 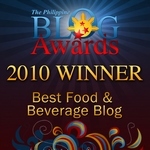 Delicious Kitchen by Eat Well served up some good Hong Kong Style Cantonese dishes. 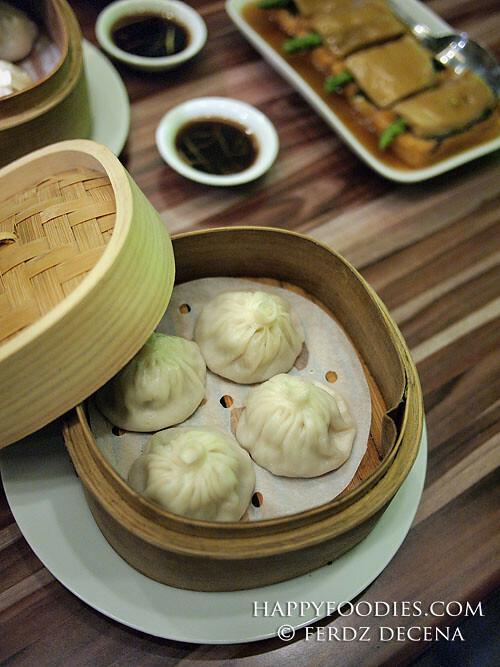 The neatly-arranged Xiao Long Pao Dumpling was a treat with its flavorful broth heightened by the ginger and vinegar sauce. 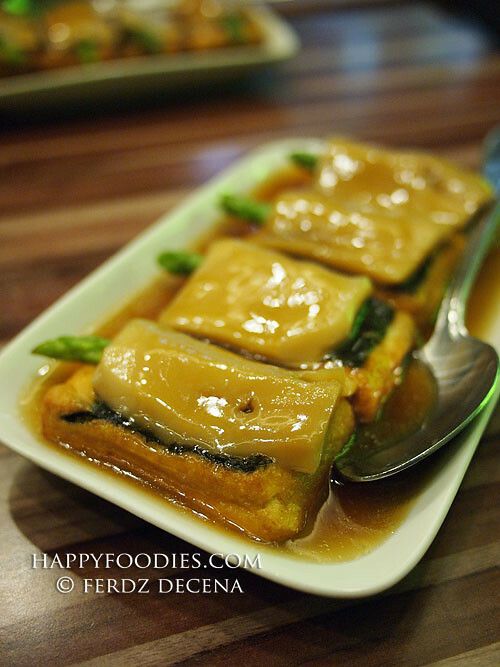 The Homemade Beancurd with Asparagus and Bailing Mushroom was a textural delight on every bite. I liked it especially with the sauce. I found the Shrimp on Toast too salty. Johnny Rockets with its ridiculously enthusiastic ambiance is home to good ol’ American comfort food – Burgers, Sandwiches and Fries. 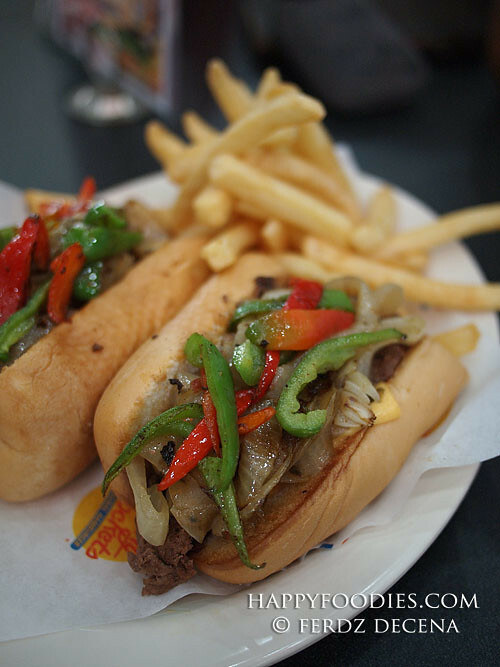 The Philly Cheese Steak was a standout for me with its soft buns, flavorful meat and slightly spicy taste. I wish though that they have been more generous with the cheese. The bacon and chicken for the Chicken Club Sandwich were really good. But if you ask me what I’ll go back here for? It’s their excellent Milk Shakes! You gotta try it I’m sure you’ll love it as I did. The Le Creperie exudes a light, stylish and classy feel yet the place is very warm and comfortable. Their TWG Tea was a refreshing treat from what we’ve been eating so far with its relaxing aroma and taste. The Le J.J. Crepe (P215) has that spicy kick with its flavorful gruyere cheese that I really liked. 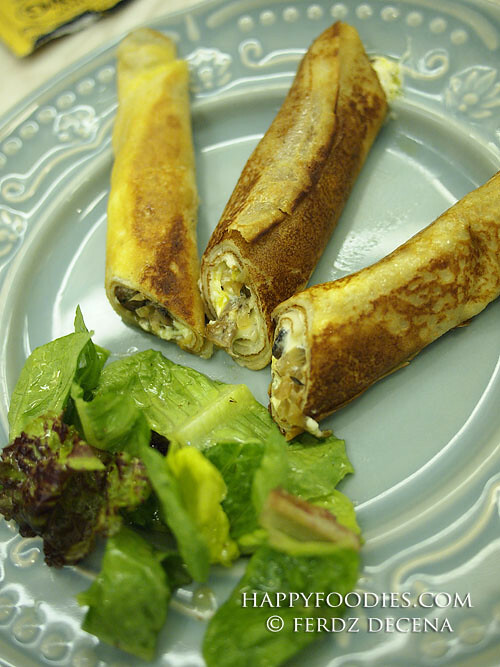 But what blew me away was the unadulterated creaminess of Nami Crepe, it has everything I like – Herbed Cheese, fresh Shiitake Mushroom and caramelized onions. I swear I’ll go back there to order it again.